At the Piatchek Law Firm, our attorneys will fight for you, your children, and your property. We understand that getting a divorce can be one of the most emotionally trying experiences of your life, with long-term financial and personal repercussions. We believe that everyone has a right to happiness, and if you and your spouse are no longer able to enjoy life together, we will help you end the marriage as quickly as possible while protecting your interests and fighting for your rights. Our attorneys are devoted to guiding you through the often difficult and confusing divorce process. We will protect your legal rights throughout the process of dissolving the marriage, so that you are able to start this new phase of your life in the best possible personal and financial position. We handle cases of all types – from families with very little financial matters at stake and no custody issues to families with significant assets and complicated child custody and maintenance/alimony issues. 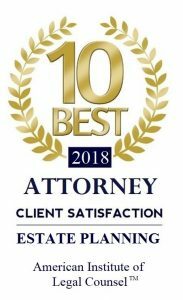 For families with substantial assets or income or families who own a business, we have substantial experience working with complex legal and financial issues such as business entities and business valuation. We fully understand the intricacies of entity governance and how entity control affects business valuation, income, and property settlement in a divorce. Our divorce litigation team is committed to providing the highest quality of legal services in the most cost-effective and straightforward manner. Our attorneys are committed to working closely with you to find solutions that achieve your objectives in an efficient and cost-effective manner, whether your case is big or small, simple or complicated. To discuss your divorce issues with an experienced attorney, contact us today to schedule a free initial consultation. Call us anytime at 417-882-5858 to set up an appointment. FAQ: Do I Need an Attorney for My Divorce?